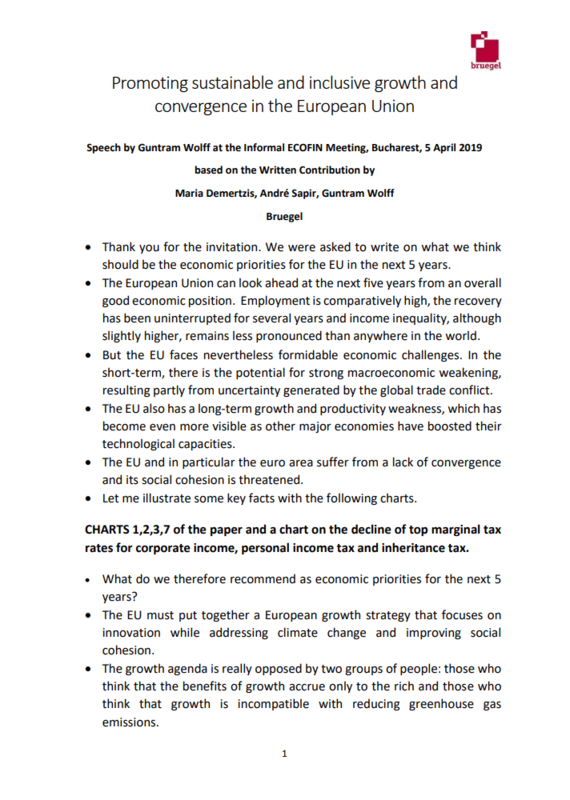 This Policy Contribution by André Sapir was presented to the ECOFIN informal meeting in Manchester. 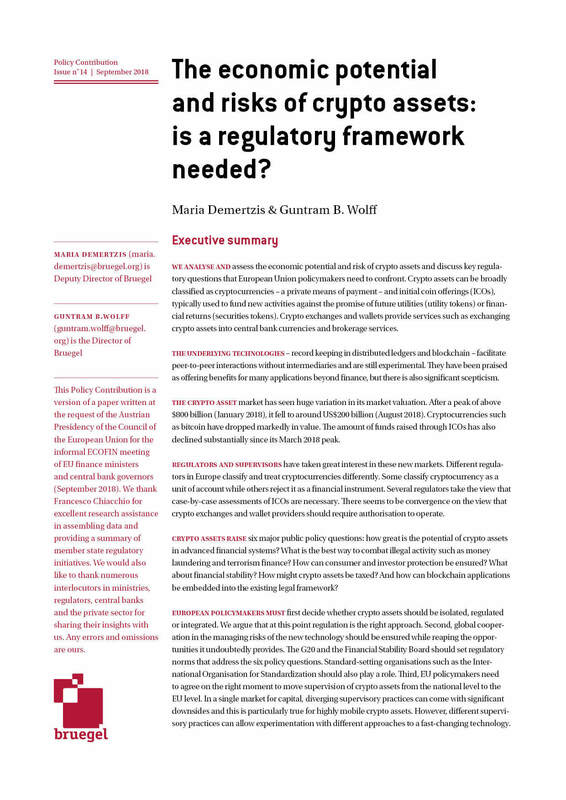 See also the Policy Brief based on this paper. 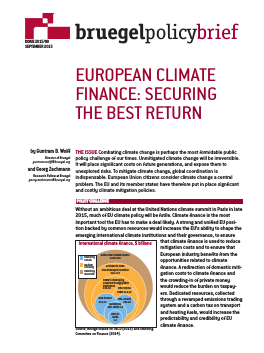 The current unsustainable use of our environment can lead to financial crisis. 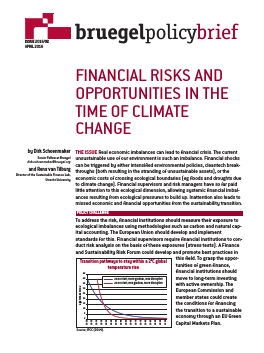 To address this risk, financial institutions should measure their exposure to ecological imbalances using methodologies such as carbon and natural capital accounting. 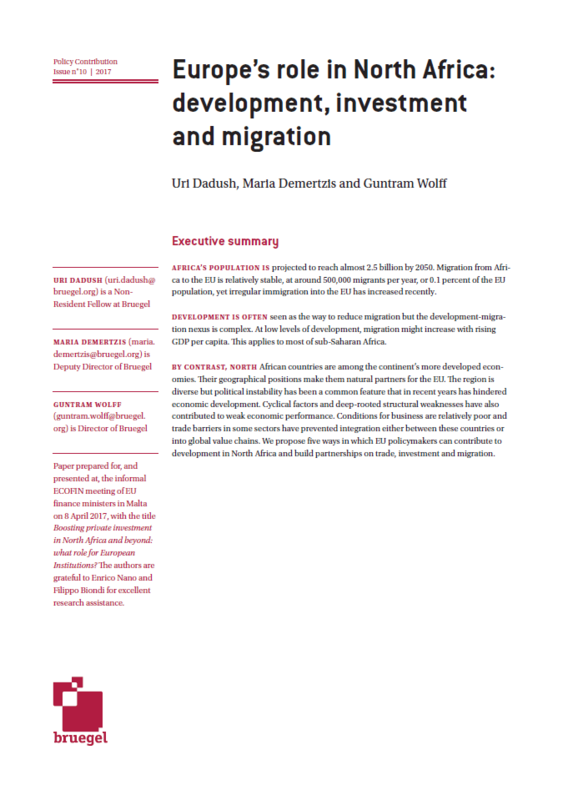 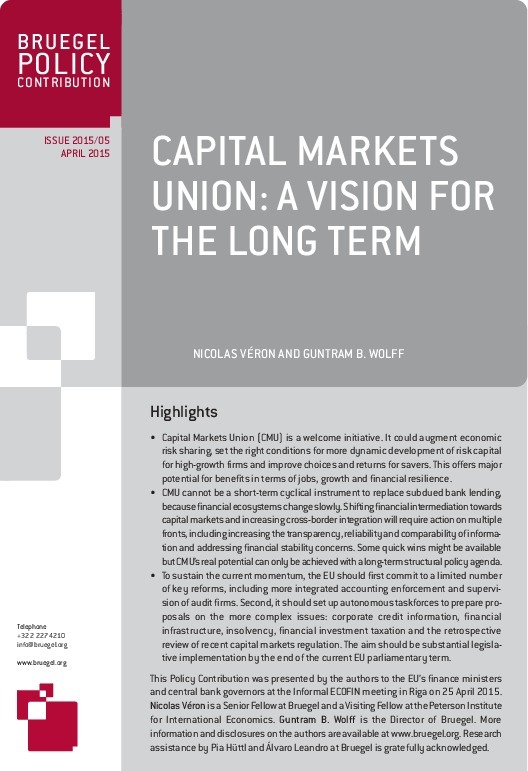 This Policy Contribution presents facts about EU capital markets, issues that should be taken into account in the development of CMU policy, corresponding policy options over the medium to long term and suggestions for policy implementation and sequencing. 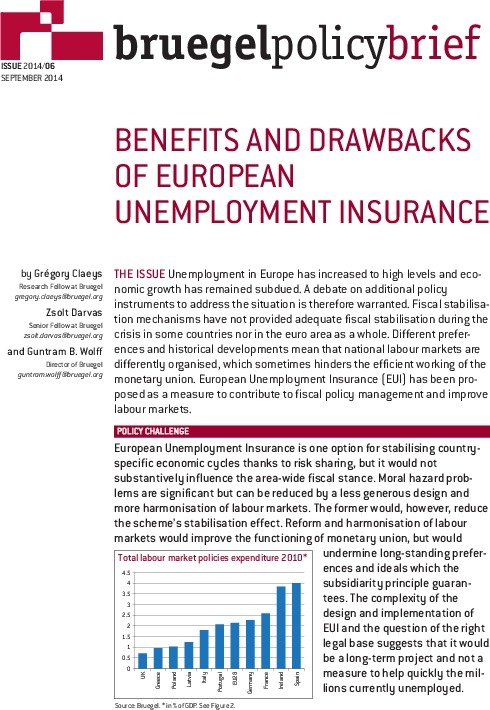 European Unemployment Insurance is one option for stabilising country specific economic cycles thanks to risk sharing, but it would not substantively influence the area-wide fiscal stance. 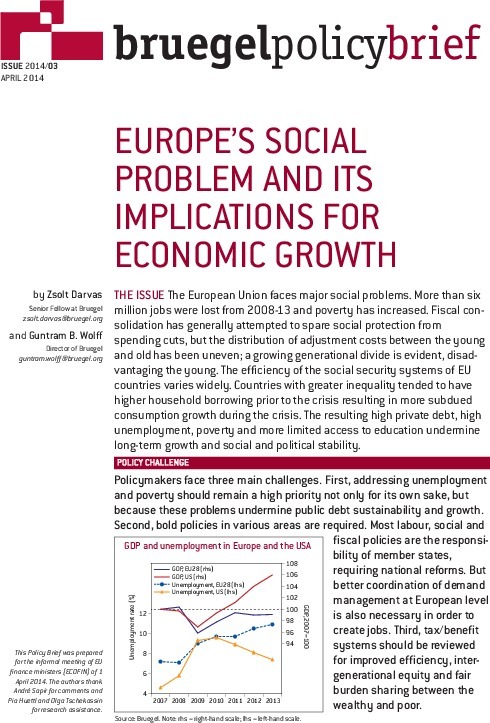 The European Union faces major social problems. 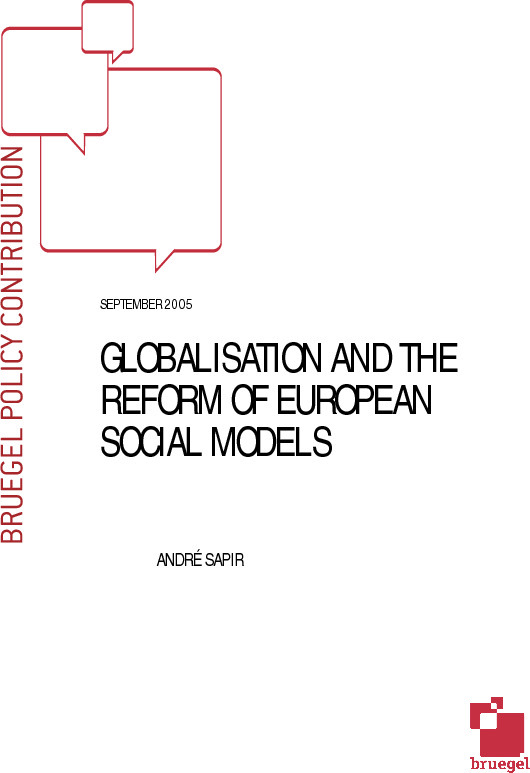 More than six million jobs were lost from 2008-13 and poverty has increased. 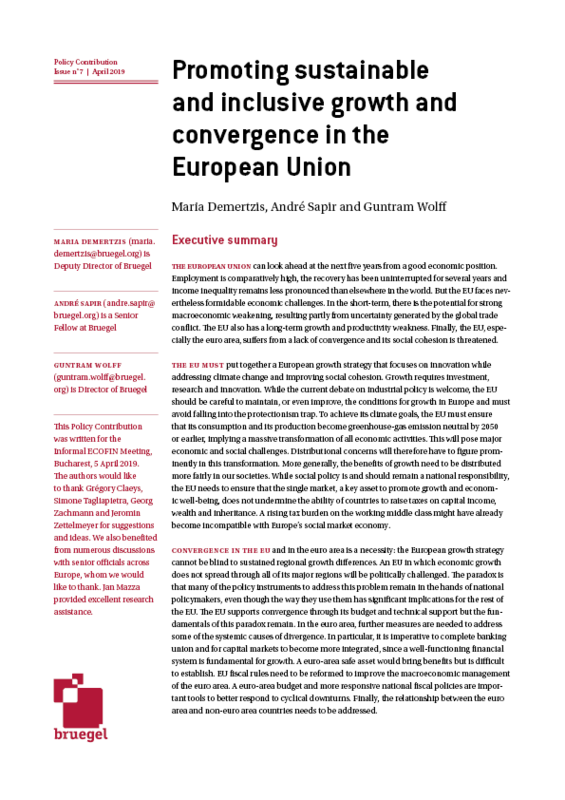 Fiscal consolidation has generally attempted to spare social protection from spending cuts, but the distribution of adjustment costs between the young and old has been uneven; a growing generational divide is evident, disadvantaging the young. 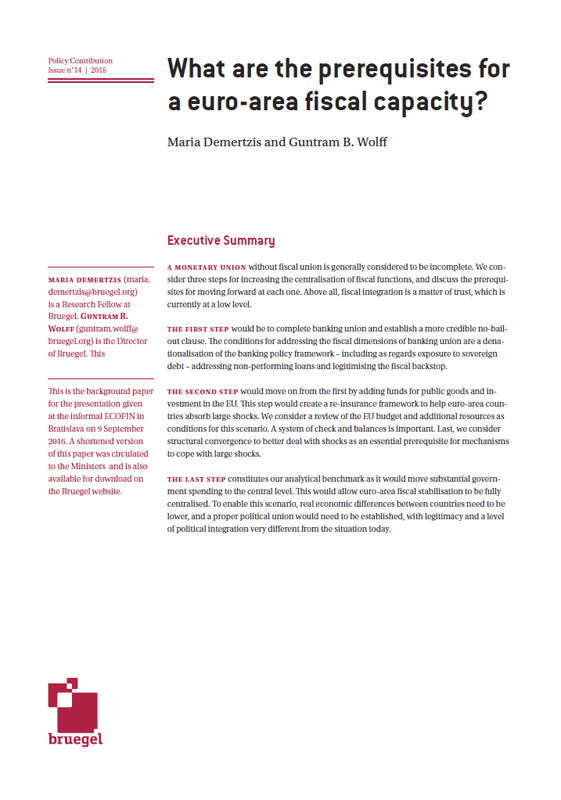 Policy contribution presented at the informal ECOFIN in Vilnius on September 14, discussing how Europe's financial system could and should be reshaped.